I read Deepak Chopra’s book on Muhammad in the same light that I read his fictional accounts of Jesus, as the son of God, and Buddha, as one who achieved cosmic enlightenment… for insights into the men that founded our world’s largest religious forces. All three novels describe the lives of these religious leaders, show how they were guided to higher consciousness and how they changed the world around them in doing so. 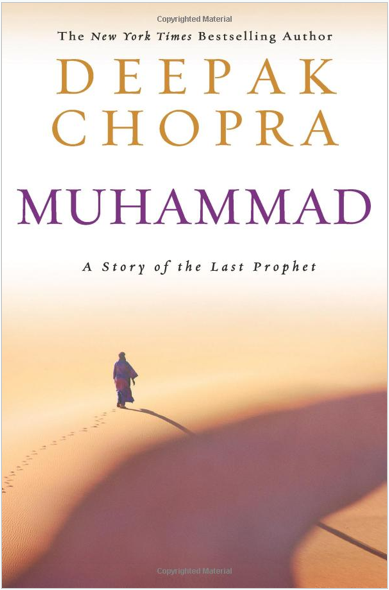 Having little knowledge of Islam, I was fascinated by Chopra’s depiction of the Arabian culture and polytheism of the time and how Muhammad brought monotheism and a guidebook for the chaotic Arabian culture to follow – the Koran (which was supposedly revealed to him through Allah and the Angel Gabriel).